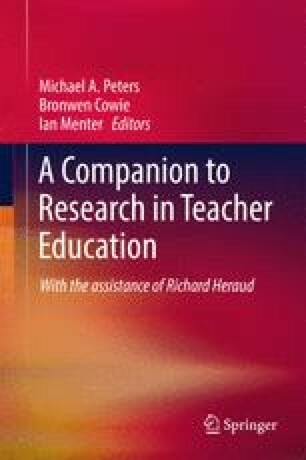 Teacher Education (TE) in OECD nations is undergoing its most significant challenge since its relocation from colleges to universities. The focus of this change is the contribution that teacher education makes to the development of teachers for a new political and economic future. Today’s teachers now need to produce students who perform highly on international rankings in PISA (and TIMSS, PIRLS, etc.) in a context of increased neo-liberal governance led by ‘big data’ and policy as numbers (Grek 2009). When students perform at levels below national aspirations, it is their teachers who are deemed to be at fault and it is their teacher education that needs to change.